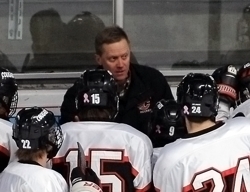 When Erik Aus decided to resign from coaching boys’ hockey at Centennial, he called to share the news with his father, Whitey, also a long-time hockey coach. Aus is stepping down after leading the Centennial program for 24 seasons. He built the program into a perennial power and led the Cougars to the 2004 Class 2A state championship. Centennial went 13-12-2 last season, losing to Maple Grove in the Section 5AA semifinals. Aus informed his returning players of his decision on Wednesday morning. He will remain at Centennial as a physical education teacher. 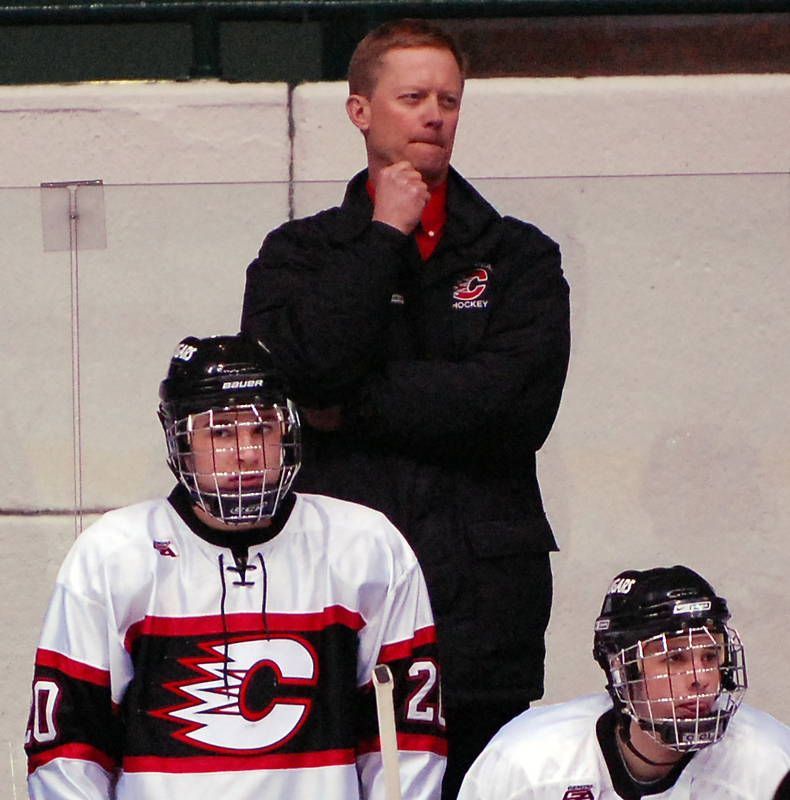 Aus, who turns 50 next month, has been coaching high school hockey more than half his life. He was an assistant for one season at Northfield then became the head coach at Faribault for three seasons. Aus arrived at Centennial, located in Circle Pines, in 1987. He and Sue raised two children, including Charlie, who played for the Cougars before graduating in 2010. Aus said he “came close” to leaving after the 2009-10 season but elected to stay. This winter, Charlie skated for Bismarck of the NAHL while Aus coached. Their busy schedules resulted in a six-week span where Aus was unable to watch his son play. In addition, Aus’s daughter is getting married soon and the family cabin doesn’t get used from November to April. While the Cougars have not been to the state tournament since winning the 2004 title, Aus said he has not felt pressure from parents. Aus’s cousin, Blaine head coach Dave Aus, said the news saddened him from both a personal and a competitive standpoint. Centennial and Blaine have been in the Northwest Suburban Conference since 2004-05 and in the same playoff section the past four seasons.